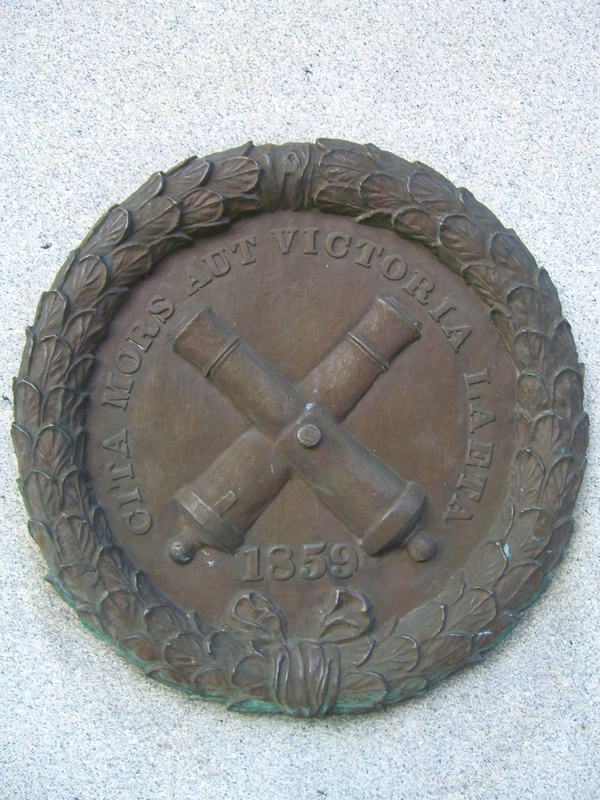 (Latin for Quick death or glorious victory) This is the emblem of the Richmond Howitzers. It depicts two crossed cannon barrels encircled by a laurel wreath. Submitted: November 29, 2008, by Kevin W. of Stafford, Virginia.